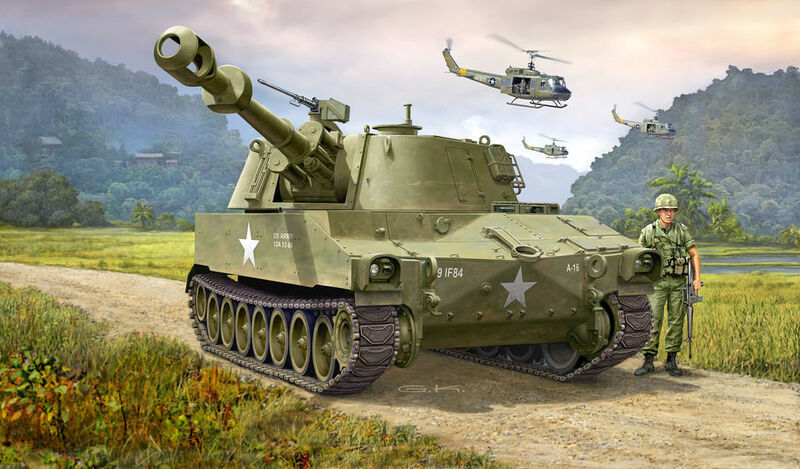 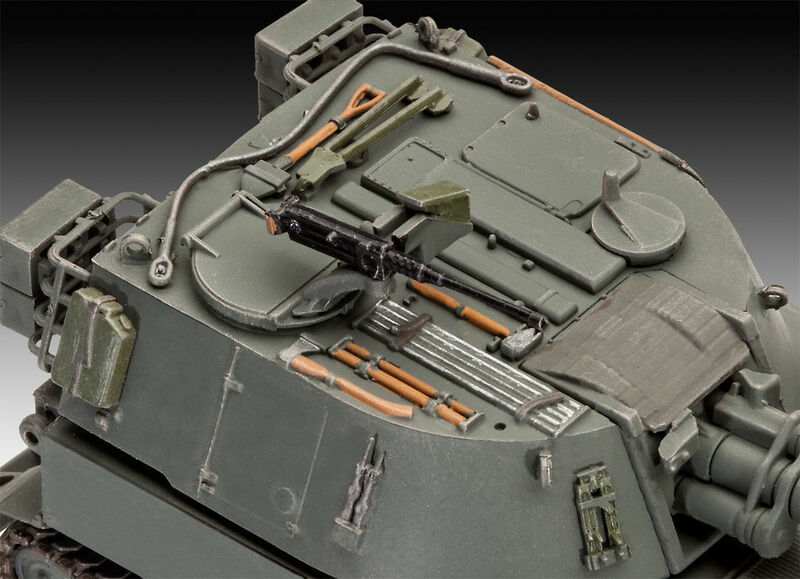 The most built self-propelled howitzer in the world as a very demanding kit with 160 individual parts. 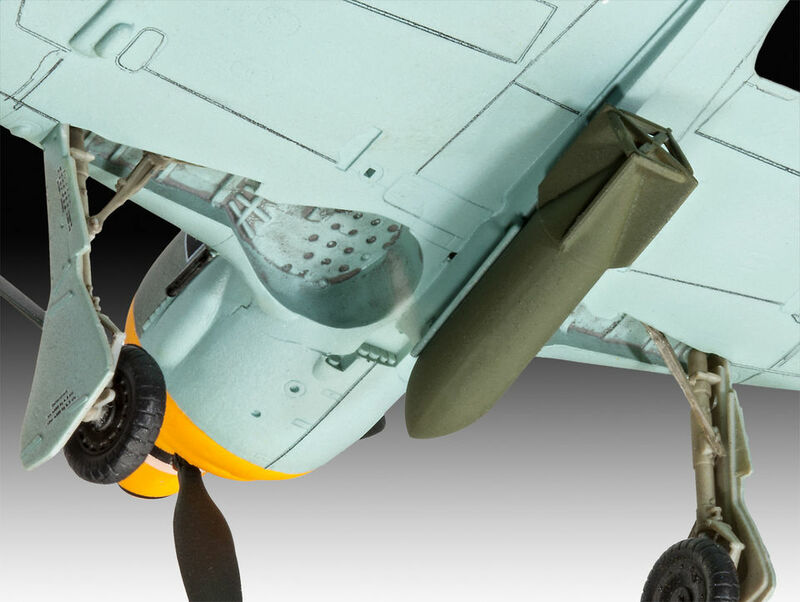 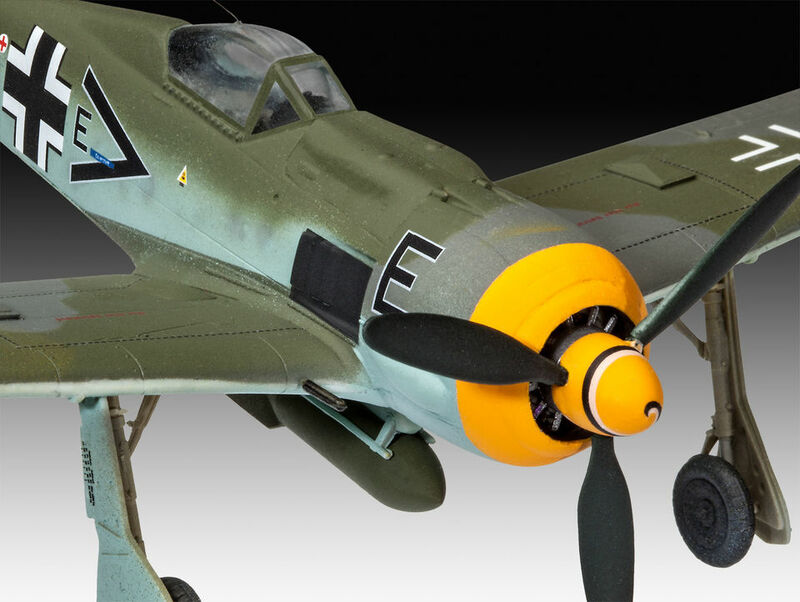 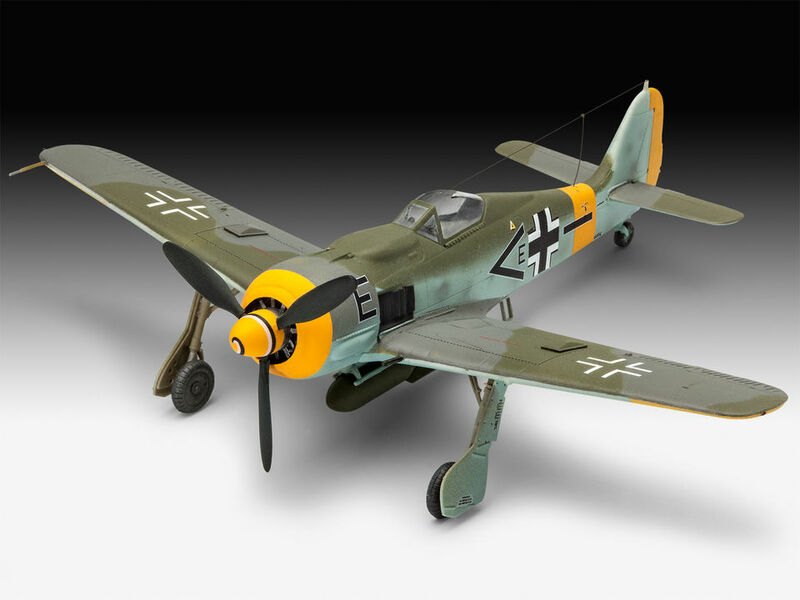 With a rotating tower and detailed landing gear, the hobbyist receives an authentic model with two decal options from the US Army. 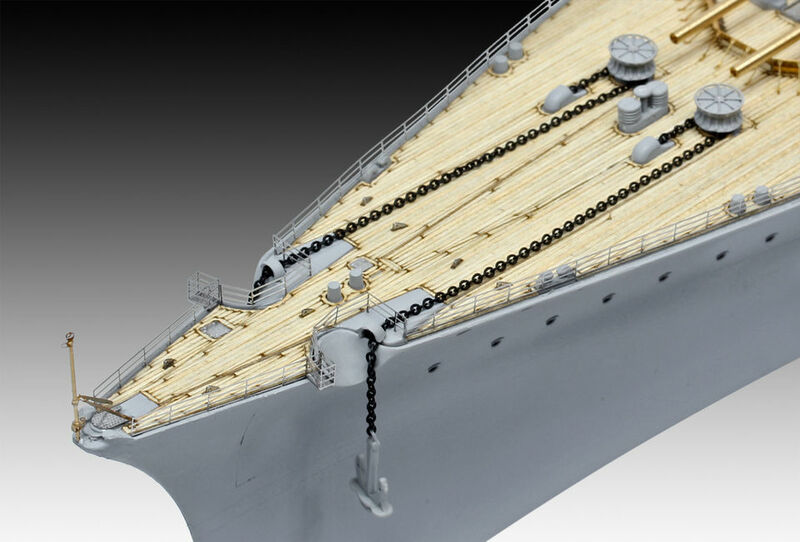 Built ready, the backbone of the artillery of the USA stands on an injection-moulded chain with sections and has a length of 9.1 cm. 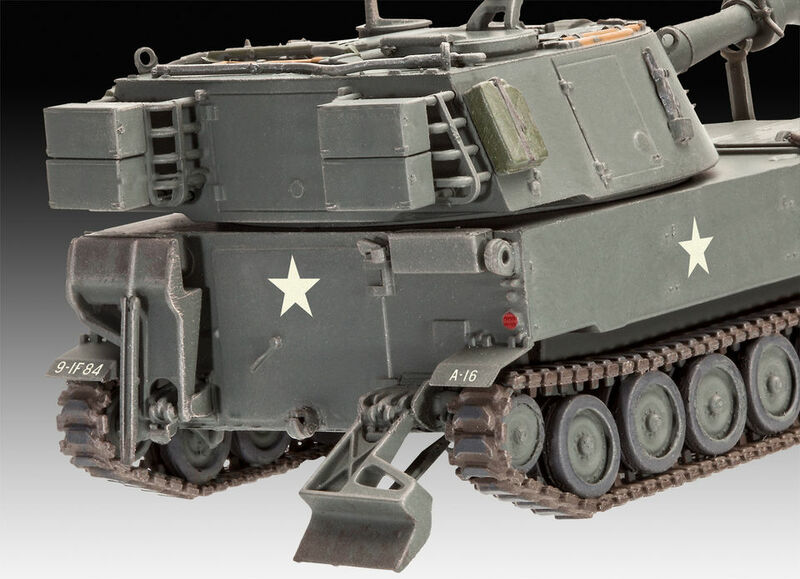 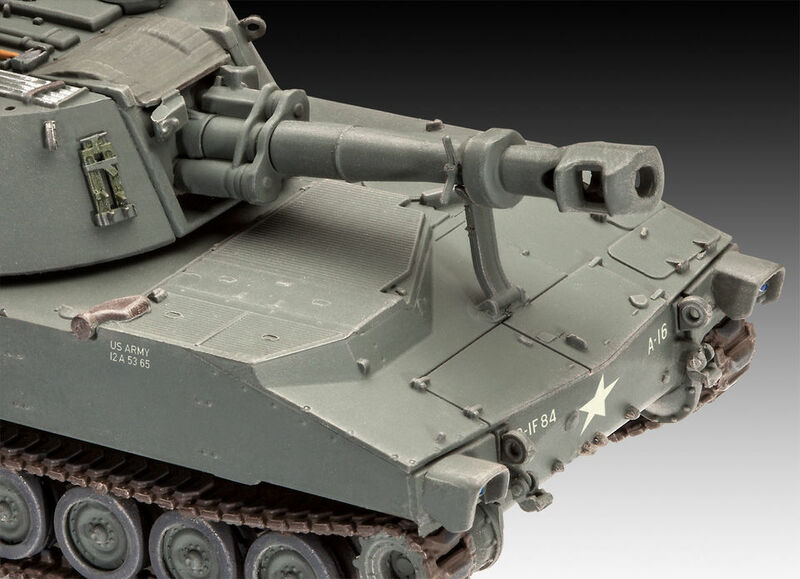 A model construction kit of the most prolific armoured self-propelled gun in the world in the original US Army version. 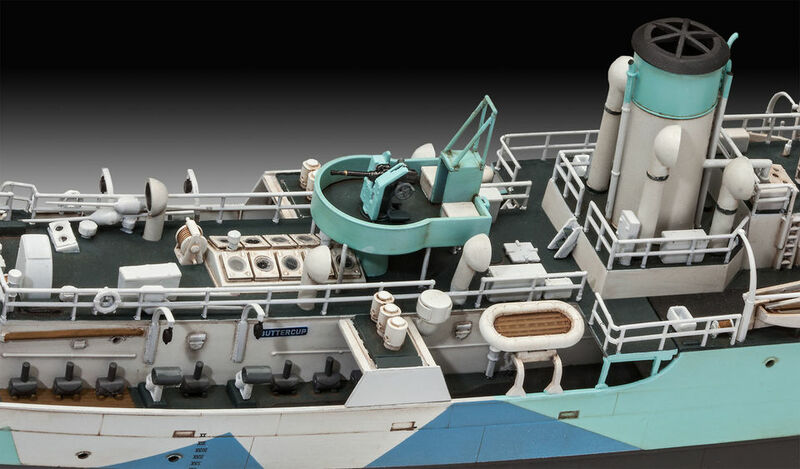 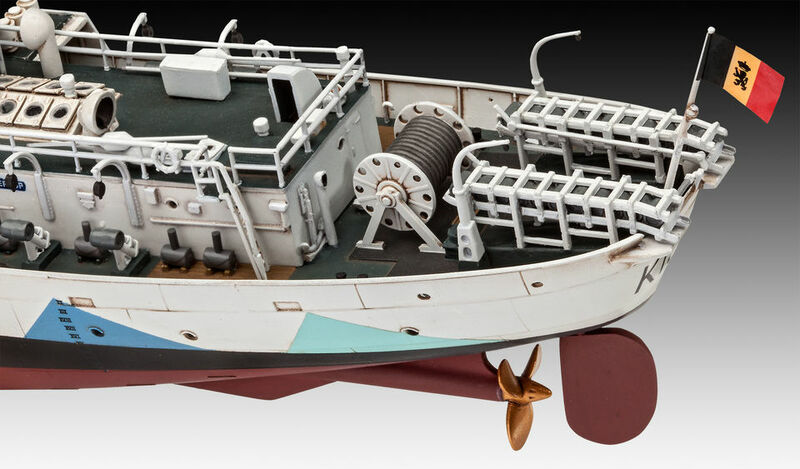 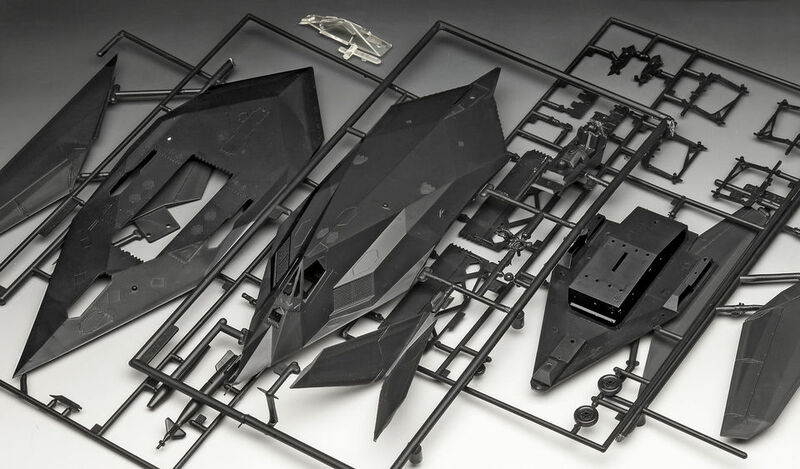 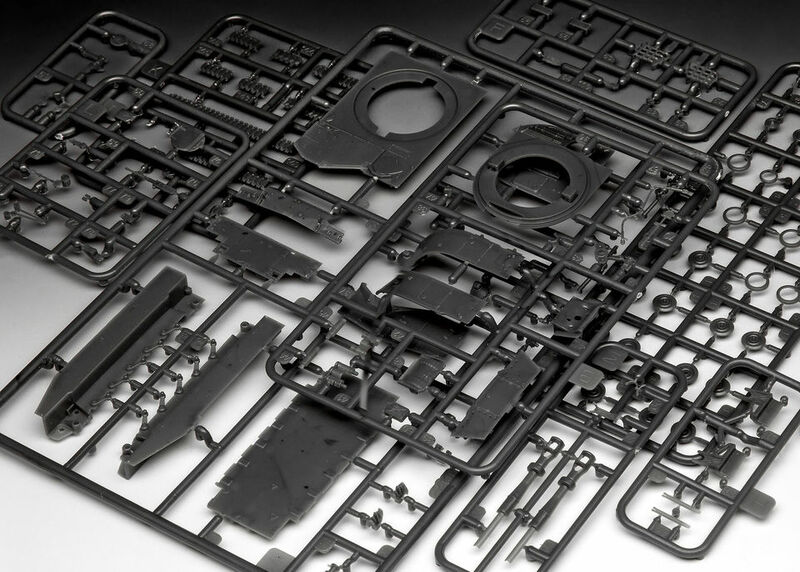 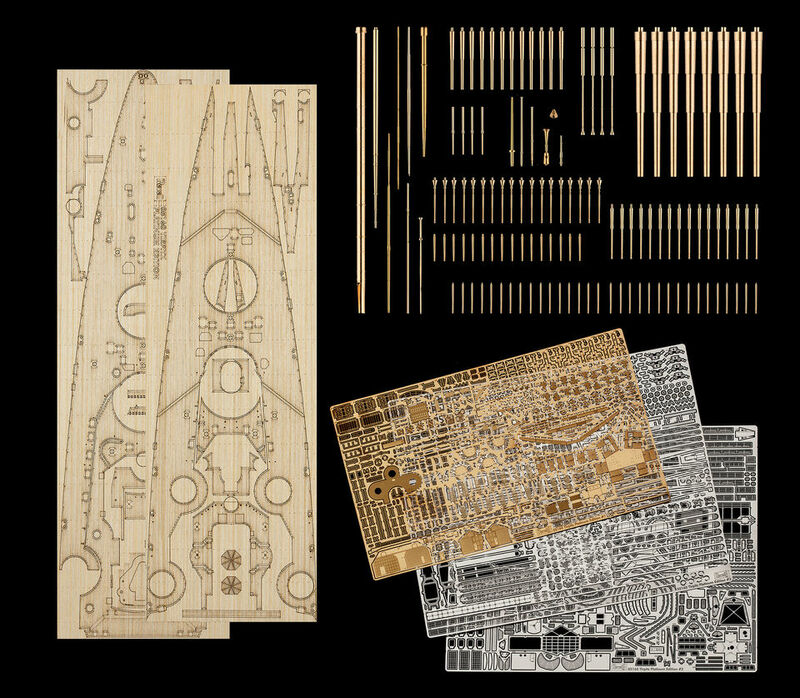 This ship kit for very demanding hobbyists consists of 492 individual parts. 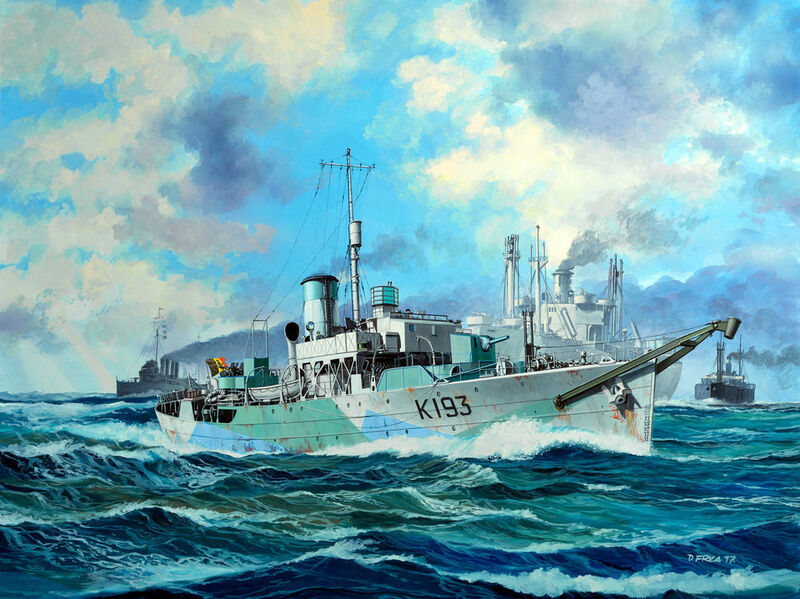 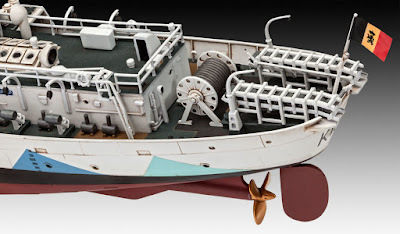 Highlights of the Corvette, which was under Belgian command in the fight against German submarines during World War II, include the 10.2 cm main gun, the realistic radar tower, the eye-catching acoustic hammer and the water bomb launching system. 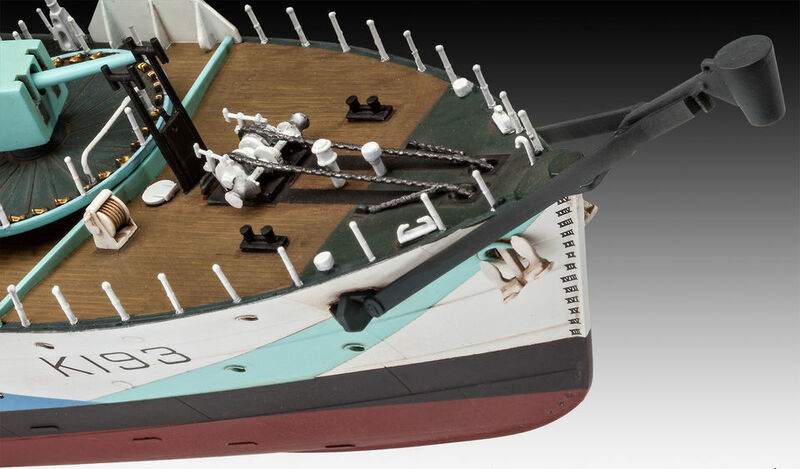 On the display stand the finished model with 47.8 cm length comes into its own. 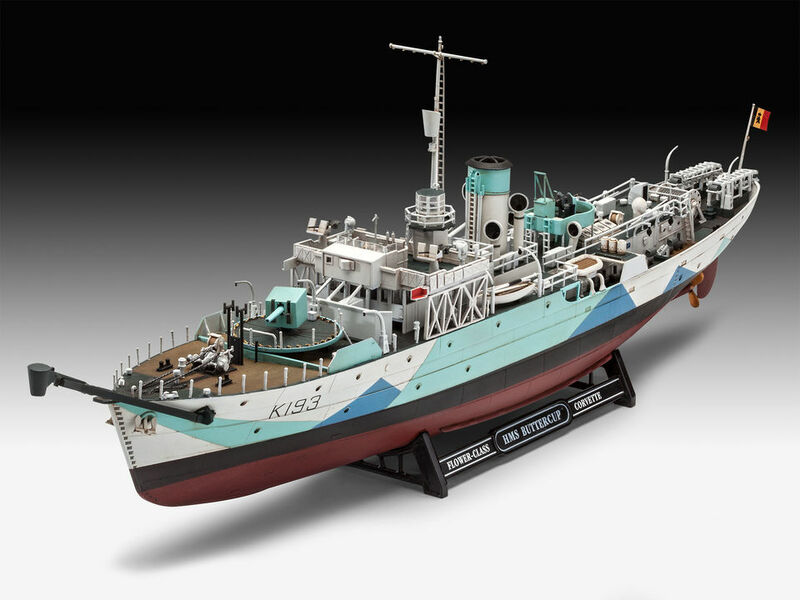 A model construction kit of HMS Buttercup which whilst under command of the Royal Navy Section Belge (Naval Forces of the Free Belgian Army). 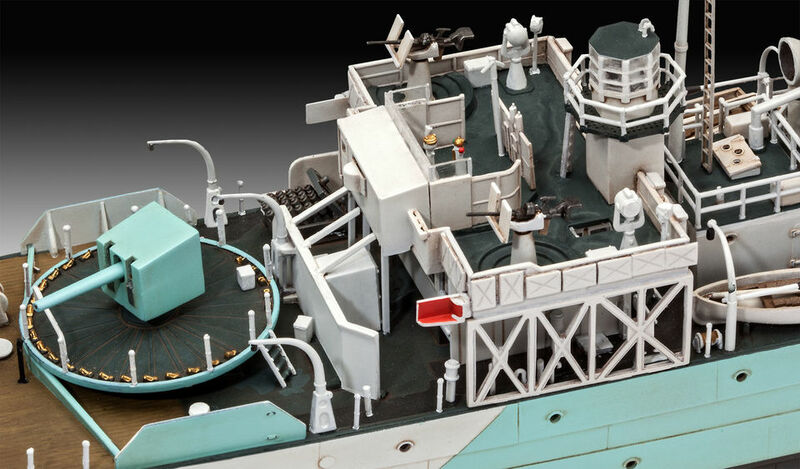 Specially equipped for acoustic and magnet mine clearance. 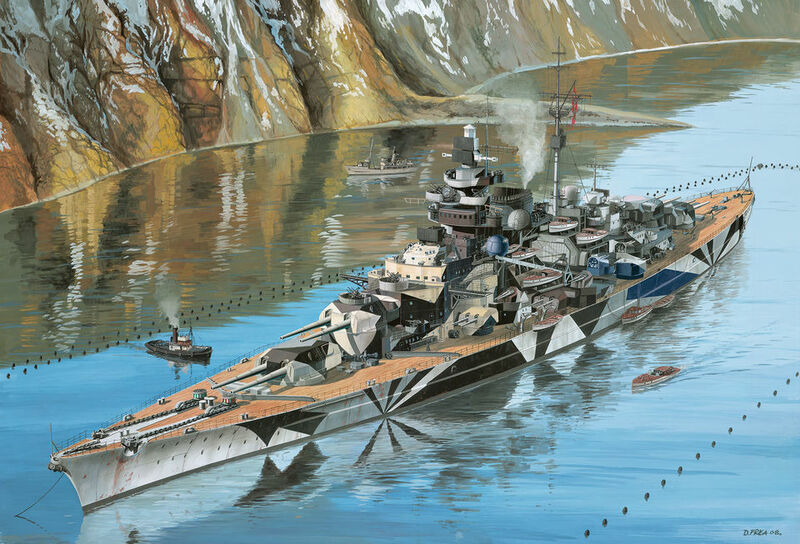 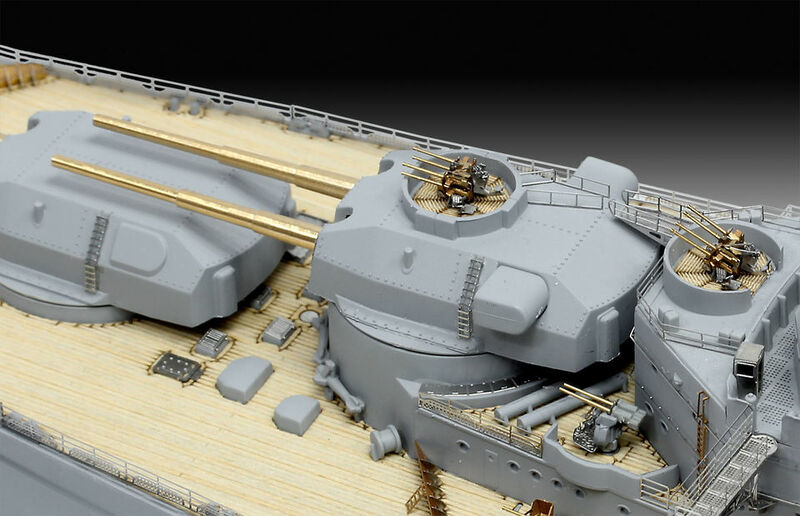 The largest and most modern battleship of its time also comes with superlatives as a very sophisticated kit: this limited kit contains 2,190 individual parts! 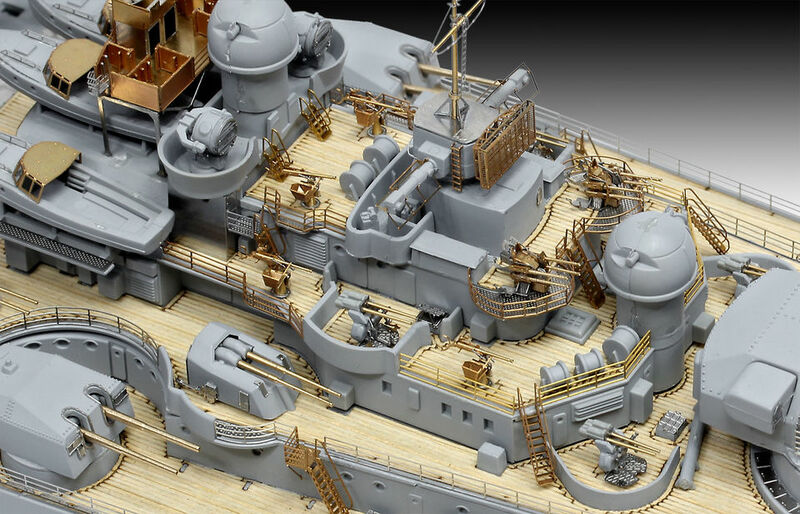 Included: metal gun barrels and anchor chain, many photoetched parts for filigree details and a self-adhesive wooden deck. 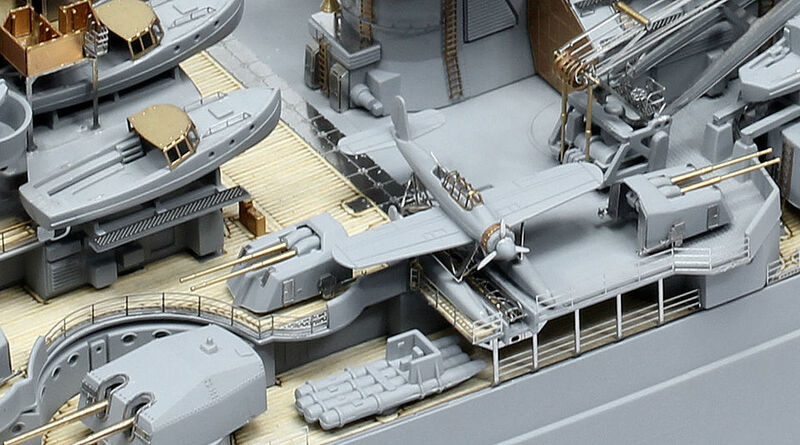 In addition, 2 Arado 196 seaplanes on deck, 16 anti-aircraft guns, 12 15mm and 38cm gun turrets and 16 lifeboats. For the length of 71,7cm some space may be made in the showcase. 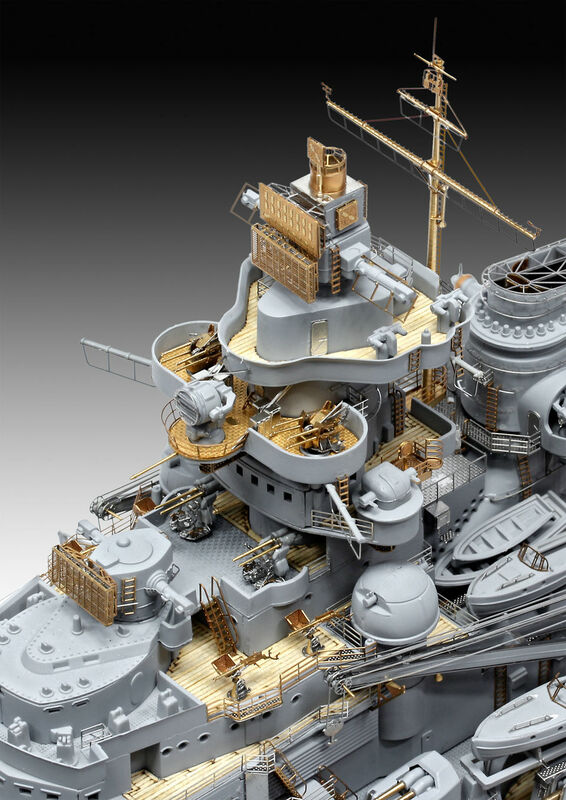 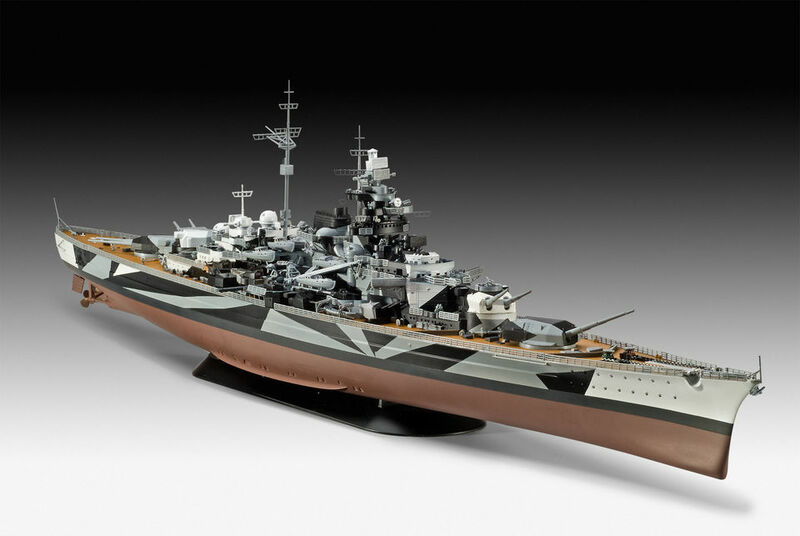 A model construction kit of at that time the largest and most modern battleship in the world. 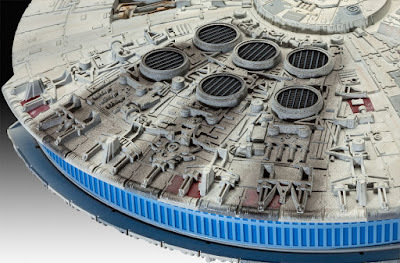 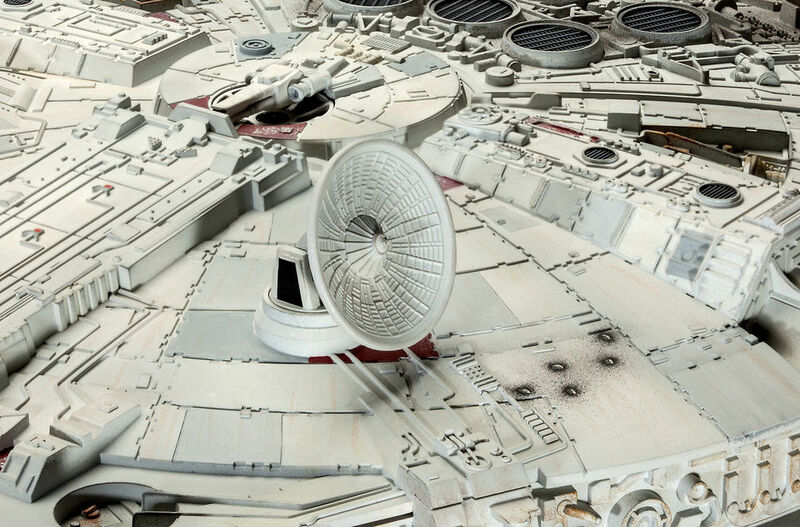 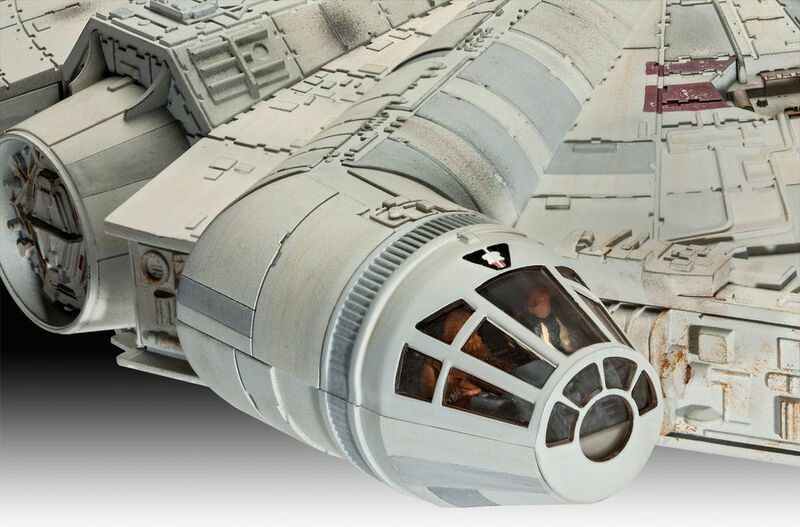 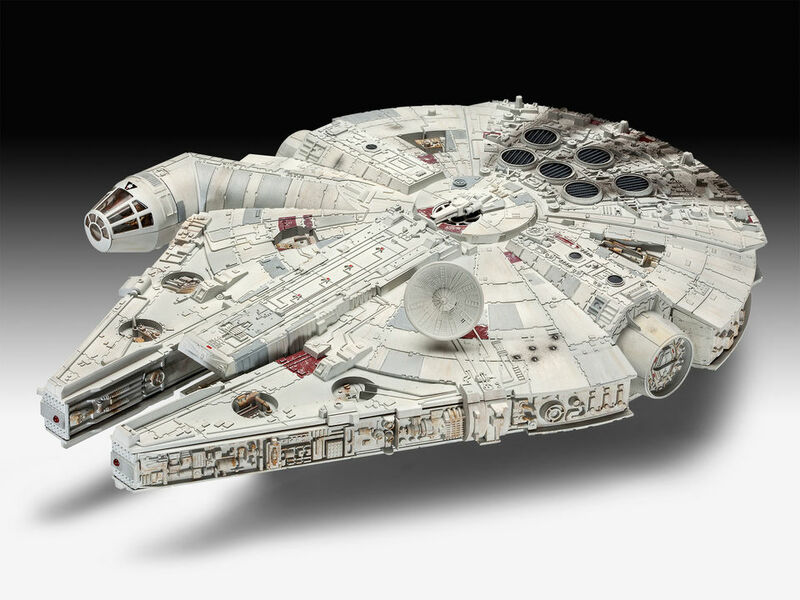 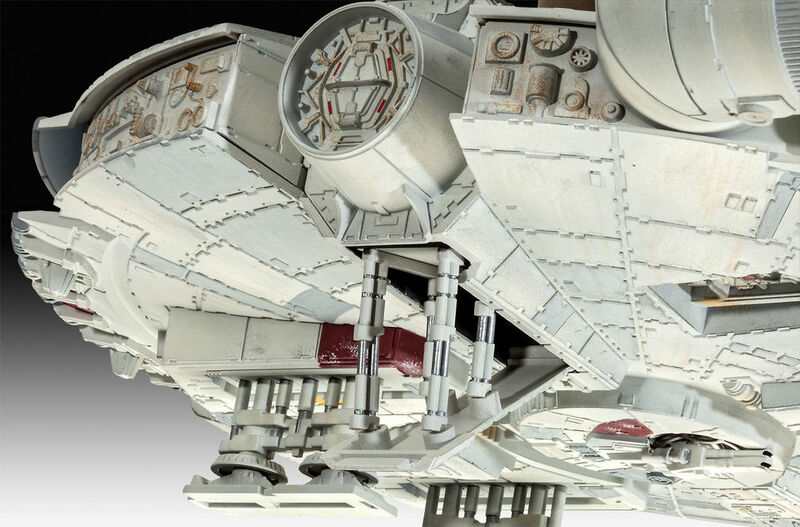 An easy to assemble model construction kit of the Correllian transporter, the Millennium Falcon, one of the fastest and best-equipped spaceships in the galaxy. 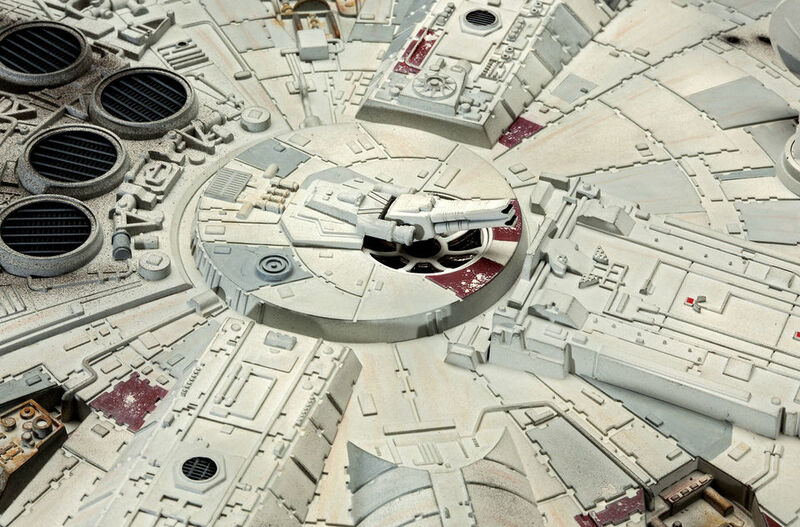 It may look old and dilapidated but constant modifications have made it something special. 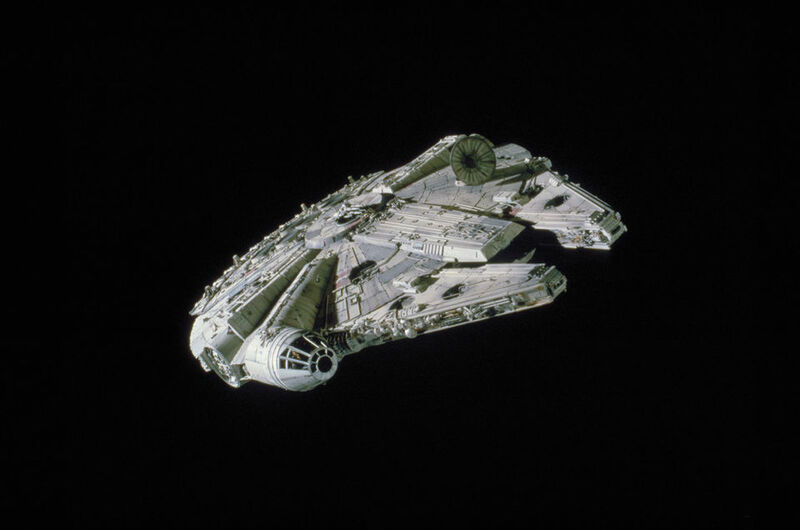 Thus, also inside the craft is a Hyper-drive that makes the Falcon almost twice as fast as all the Imperial Starcruisers. 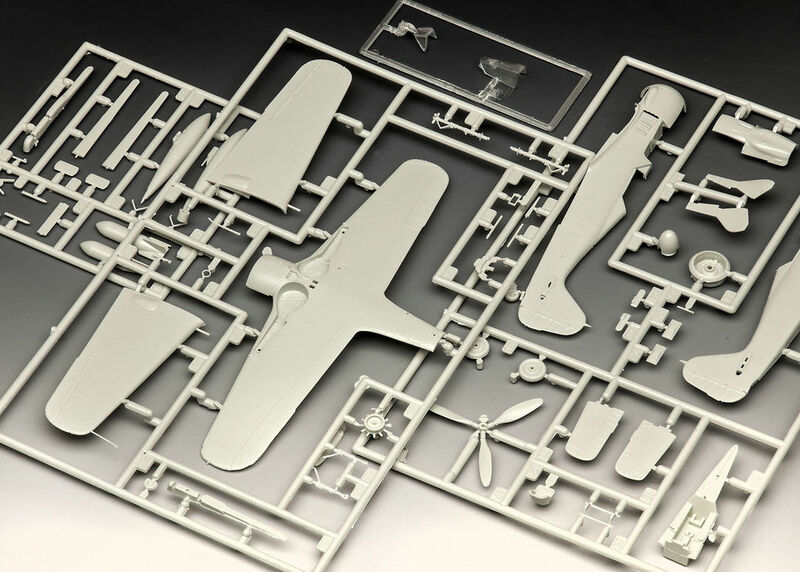 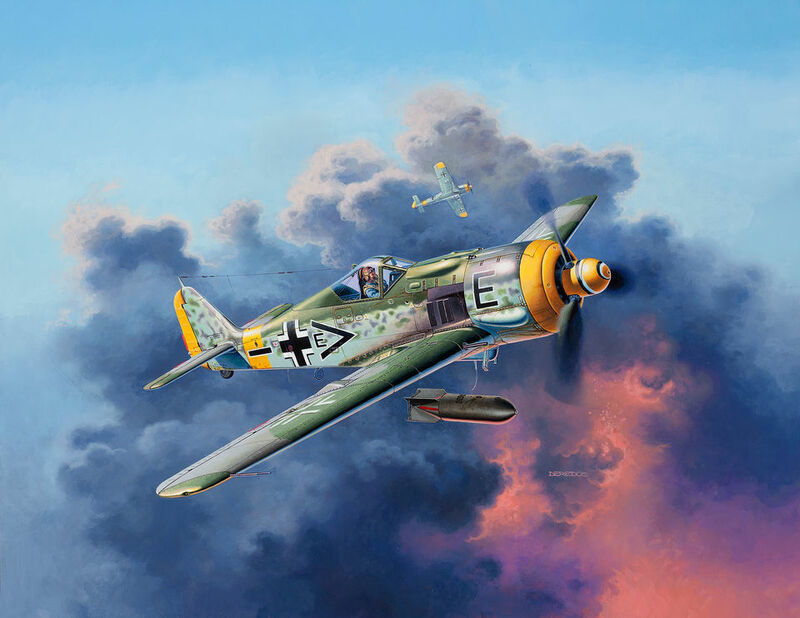 A model construction kit of the world-famous WWII fighter-bomber that was also used in support of ground troops in the latter period of the war. 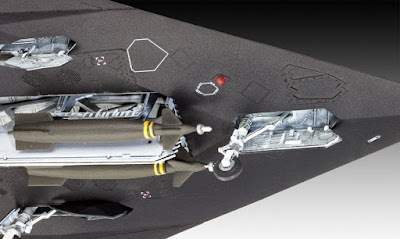 An easy to assemble model construction kit of the Lockheed F-117, the first stealth fighter in the world. 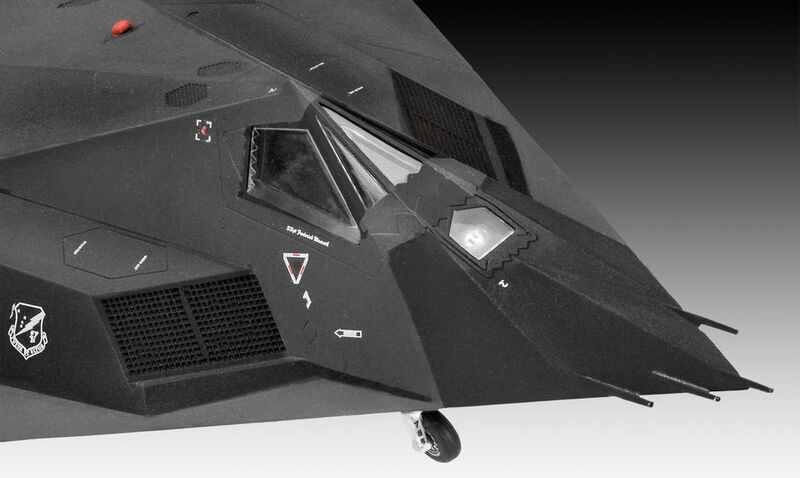 It is used mainly for night attack missions. 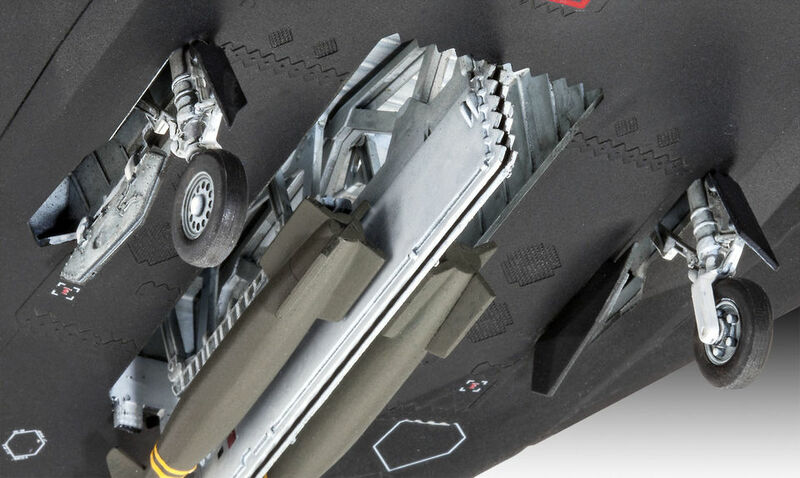 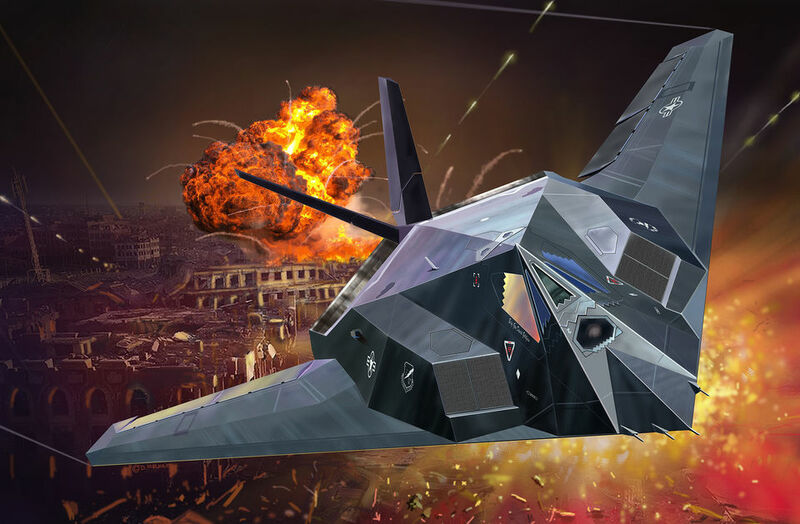 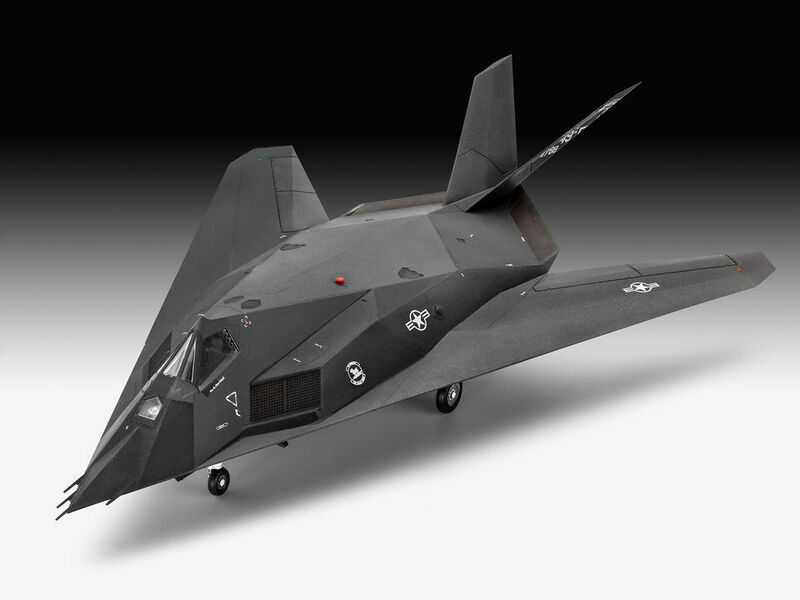 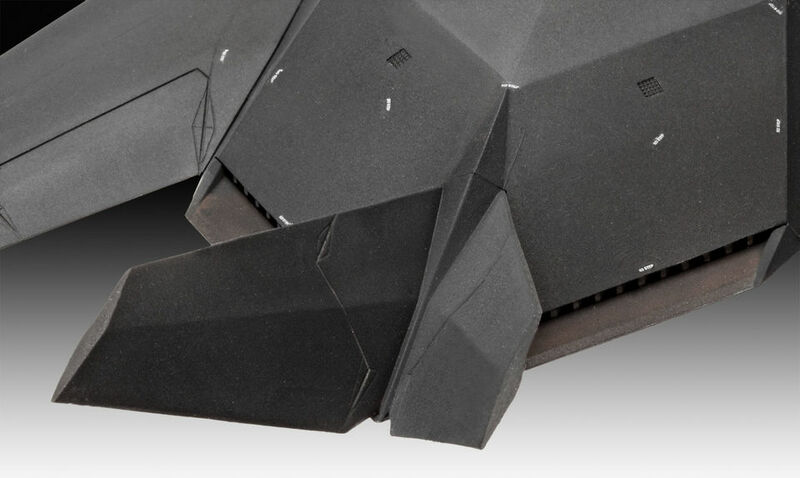 The multi-faceted construction helps the F-117 to remain undetected by radar.